Repress of the Memento Mori´s 2011 official reissue of this underground Death Metal masterpiece from The Netherlands, originally released on Modern Primitive back in 1993. 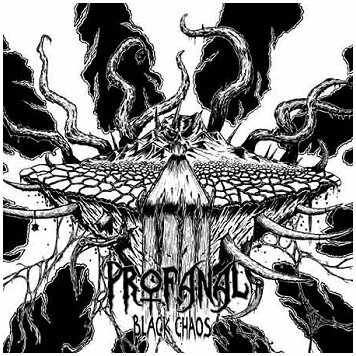 Death Metal the way it was always meant to be, rotten and moist, with some mandatory Doom-laden tempos and a little bit of Thrash Metal thrown in for good measure. Draw a mental picture of Autopsy, Obituary or Asphyx with the occasional pinch of ancient Thrash Metal and you´re almost there. This terrific reissue features the "Dehumanized" demo (1991), a compilation song (originally featured on "Peaceville Vol. 4", 1992) and 2 live songs (recorded live in Tilburg, The Netherlands, 2009) as bonus. All songs remastered. Jaw-dropping new artwork and layout by Richard Schouten (one of the band´s guitar players), including a 12-page booklet that is packed with rare photos, old flyers, lyrics, etc. It´s a real shame that such a monster of an album passed through almost unnoticed two decades ago and its so hard -and expensive- to get nowadays (even the 2011 reissue is!!! ), so this repress is the greatest chance for new listeners and old fans who missed out on 2012 reissue to grab a copy for a very reasonable price. 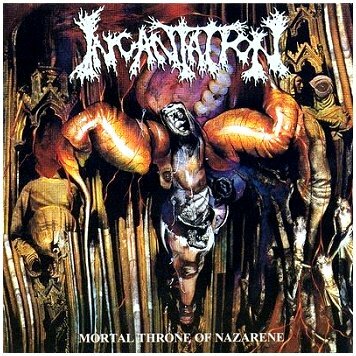 INCANTATION "Mortal throne of Nazarene"